Looking for hotels near Can Serra? 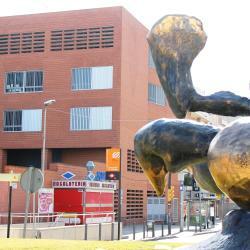 Located in Hospitalet de Llobregat, near Teatre Joventut, Olala Urban Chill Apartments features free WiFi. Offering city views, Enjoybcn Diagonal Nord Apartment is an accommodations located in Barcelona, 0.7 mi from Camp Nou and 2.4 mi from Palau Sant Jordi. Located within 1.9 miles of Plaza Europa and a 13-minute walk of Teatre Joventut in Hospitalet de Llobregat, Olala Vibe Apartments has accommodations with a kitchen. Complimentary WiFi is offered. Located in Hospitalet de Llobregat, Apartment Fira Barcelona Gran Via features a balcony with city views. Featuring a private terrace, this modern apartment is located just 15 minutes' walk from Camp Nou Football Stadium. 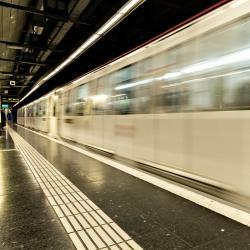 Both Collblanc and Torrasa metro stations are within 5 minutes' walk. Sofia GL is set on Barcelona's Diagonal Avenue, a 5-minute walk from FC Barcelona’s Camp Nou Stadium. It features free WiFi throughout, on-site restaurants and stunning city views. The room is excellent size and the bed was awesome! The shower also is great ! Set in 25,000 square yards of beautiful gardens and offering fantastic views of Barcelona, Fairmont Rey Juan Carlos I is a luxury hotel set on Diagonal Avenue. Basically everything. Staff was nice, room was amazing, the pool was amazing. Just 100 yards from Cornellà’s Fira Exhibition Center, the modern Ibis Cornellà offers air-conditioned rooms with flat-screen satellite TV. It has free on-site parking and a 24-hour bar. The facilities are comfortable, large and clean. Located opposite Fira Barcelona Exhibition Center, Porta Fira is an impressive red tower designed by Japanese architect Toyo Ito. Very nice and convenient for families specially if you're looking for large connected rooms. This futuristic tower is set between Barcelona city center, 15 minutes' drive away, and the airport, 5 minutes' drive away. The Barcelona City View from the room.! The design of the room was so luxurious. Set just off Plaça d’Espanya and at the foot of Montjuïc, Hotel Acta Azul Barcelona offers stylish accommodations in central Barcelona. It features a roof terrace, 24-hour reception and free Wi-Fi. It is near to Sants station. The stuff here is very friendly and helpful. The decoration is great! Hotels with great access to Can Serra! Beautiful and stylish suites located in the heart of Pedralbes, one of the top residential areas of Barcelona and close to one of the city's main business districts. La atencion de la recepción fue increiblemente satisfactoria.. Located in Barcelona’s Plaza España, Hotel Catalonia Barcelona Plaza has a seasonal rooftop pool and terrace with 360º views of the city. It offers a fitness room, beauty salon and free WiFi. Staff was making sure guests know they are there to help out.